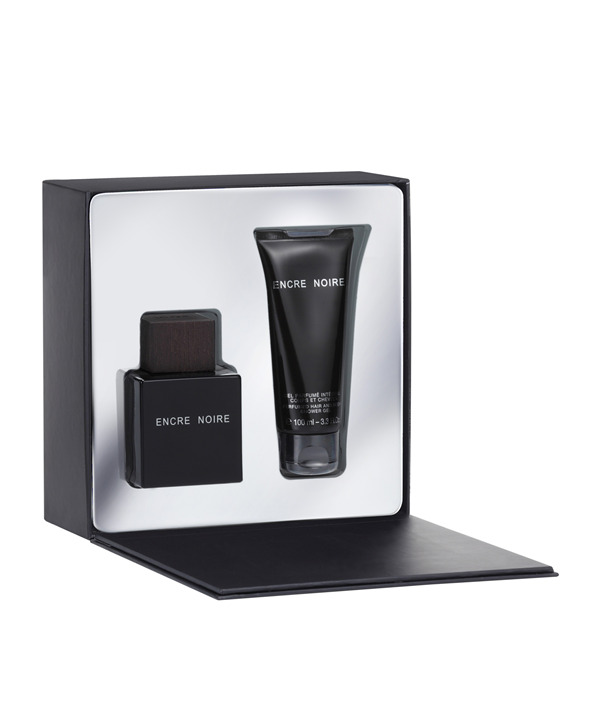 ENCRE NOIRE SET, EAU DE TOILETTE 100ML AND SHOWER GEL 150ML. Encre Noire incorporates Lalique’s distinctive aesthetic codes, combining luxurious materials and the technical prowess of our master glassmakers. The bottle was inspired by the ‘Biches’ inkwell designed by Rene Lalique in 1913. Encre Noire is a fragrance created in praise of wood. Its fresh and woody top notes come from the naturally aromatic cypress. Its stimulating core combines mysterious notes of vetiver, Bourbon and Haitian vetiver with the warm and enveloping notes of cashmere wood and musk.